According to the online rumor mill Apple may unveil new software that puts the iPhone at the center of a smart home. Users will be able to control the appliances, lighting, thermostats and the locks on the doors all with their iPhone. Ezra Gottheil, an analyst at Technology Business Research, claims that Apple would have an advantage in the home automation market because home developers would be motivated to come up with cutting-edge products to lure the high-income consumers to trick out their homes. 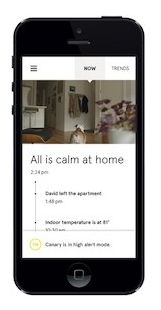 Apple is not the only company working on the “one app” to control a smart home. Revolv, a firm based out of Colorado, has a one app and central hub that controls the home. “Apple creates even more momentum for the ‘smart home’ for the rest of us and elevates awareness with consumers, which is good for start-ups like Revolv that have limited resources to educate the mainstream market,” Mike Souci, co-founder of Revolv, said. According to ComputerWorld.com, home automation spending will reach $14 billion by 2018, with half that money being spent in the United States alone. Gottheil sees the one app as an expansion of Apple’s accessories business, which pulled in over $1.4 billion in revenue in the March quarter. Gottheil said that having new and interesting things in the store helps bring in more traffic for Apple, which ultimately translates into higher sales. Even though Apple is not the first to start development on the all-inclusive “one app,” it appears they are a driving force behind this concept.